For details on how your data gets into Data Studio, and how to get your data into Data Studio, visit our Data Studio support page. To view your data once you are in Data Studio, Click "Add New Data Source", then under Partner Connectors, find Analytics Canvas and click "SELECT". 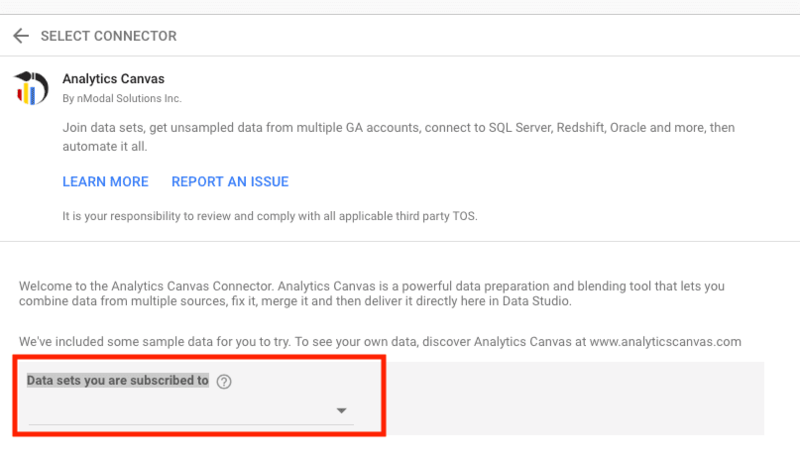 You will be asked to authorize the Analytics Canvas partner connector.